If you are in the greater Oklahoma City metro or Edmond area, and you’re looking for the performance and efficiency of a new or used Ford Fusion, come visit us at Vance Country Ford in Guthrie, Oklahoma. 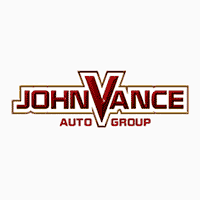 Find out why Oklahomans have been faithfully served for over thirty years by Vance Auto Group. We are a quick 10 minutes north of Edmond and 30 minutes north of downtown Oklahoma City. Vance Country Ford in Guthrie may sound small town but we have a big city inventory and know how to treat our customers like local neighbors. The Ford Fusion allows you to drive in style and comfort while being eco-conscious. The Fusion Energi Plug-In Hybrid with EV Mode even lets you choose a gas, electric or a combination to drive. The 2019 Ford Fusion Hybrid has an EPA-estimated rating of 43 city/41 hwy/42 combined mpg. The total driving range on a full charge and full tank of gas is an EPA estimated 610 miles. You can even track how your driving is affecting your mileage. The Fusion sports a 2.7L Turbo charged EcoBoost engine that powers out a best in class 325 Horsepower with 380 lb-ft torque and offer standard AWD. Not only does the Fusion turn heads as they see its design on the road but it is loaded with interior luxury that makes riding a pleasure. The Fusion offers a lot of the new assistive driving features such as Lane Keeping System, Rear View Camera, Blind Spot Alert, Collision Alerts and more. Stay connected with Apple Car Play and Android Auto, voice-activated touch screen navigation system and Adaptable Cruise Control. Choose from The S, SE or SLE models to find the perfect fit. Come visit us in Guthrie which is just right up the road. We would love to help you find the Fusion of your dreams, whether it is new or used. Come discover why our customer rating is always so high. We are committed to Serving Oklahomans for another thirty years!